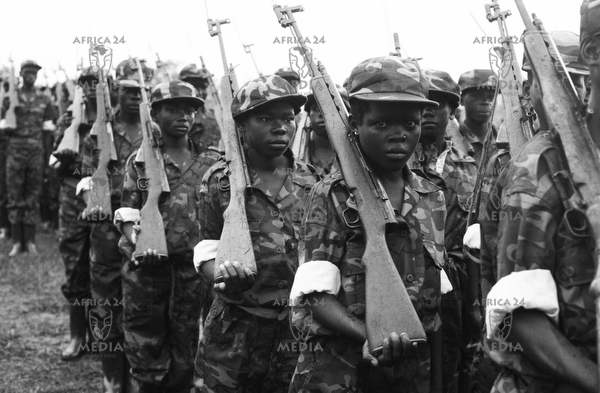 Child soldiers in Africa are often assumed to be a new phenomenon, linked to the spread of so-called ‘new wars’ and ‘new barbarism’ in the civil wars which swept across the continent in the 1990-2000s. The defining images of the child soldier in today’s humanitarian-inflected discourse are those of the ragged young rebel boy in flip flops with an AK-47 in downtown Monrovia, or the kidnapped Acholi children seized from their families by Joseph Kony’s Lord’s Resistance Army in Uganda. New research, however, is beginning to challenge this assumption, and the idea that child soldiers are always either simply ‘victims’ or ‘perpetrators’.